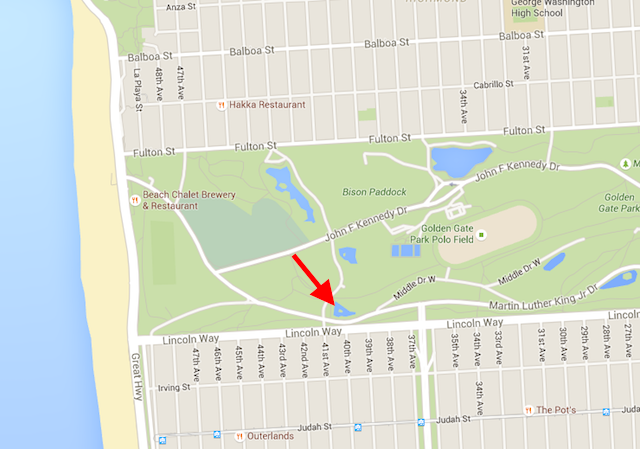 A body was discovered today in the southernmost lake of Golden Gate Park's chain of lakes (also known as South Lake), a police spokeswoman tells Bay City News. Police learned of the body just before 8 a.m. this morning. This is in the western quadrant of the park, near Martin Luther King Jr. Drive and 41st Avenue. Representatives from the Medical Examiner's office appear to be on the scene. According to the Examiner, police do not suspect foul play at this time. More on this case as we learn it.